In today’s online world it’s really helpful to use an ‘avatar’ to bring personality to your social media presence. An avatar is an illustration or character that represents an online user. You, in this case. And why do you want an avatar? I don’t know about you, but I’m not always camera ready (Shock! Surprise!). That’s when your avatar can step in to help you maintain a consistent presence on your business pages and in your groups. Avatars can be used to enhance your personal branding, including your brand colors. In this way avatars can not only enhance your messages and consistency, but also increase recognition of your brand and draw attention to your posts. 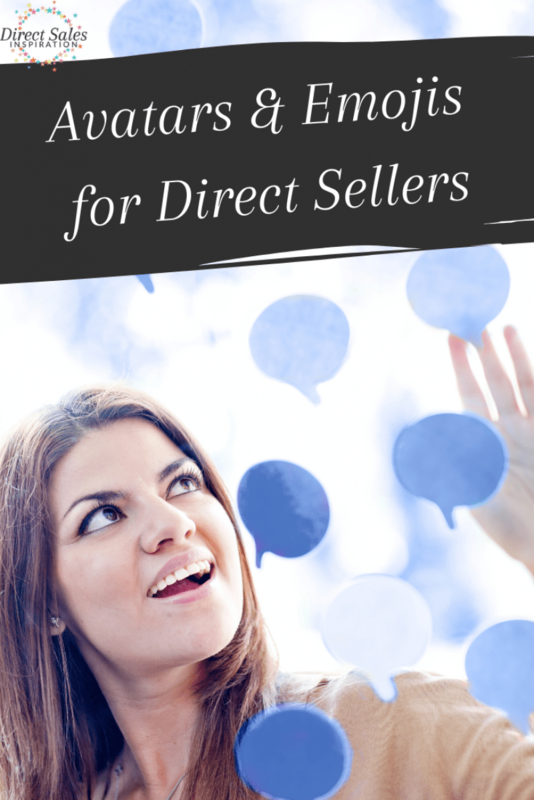 Here’s an example of a detailed avatar I use for the Direct Sales Inspiration Facebook page. I’ve included the original photo you can see what the avatar was based on and what I provided to the designer. A detailed design like this can be branded in your personal brand colors and you can use it when making tiles in Canva (or some other graphic service), as a reminder of when you’re going Live in Facebook, or as illustration with announcements. I got 3 different color versions of this avatar for $20. 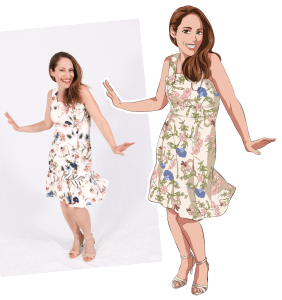 I used Fiverr to find a graphic designer who could create an avatar for me. Another way to use avatars as part of your online presence, is to use emoji creation apps. 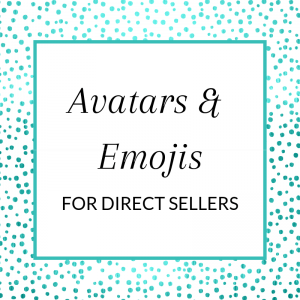 An emoji is not as detailed as an avatar, but but they’re a lot of fun to use in your messages and also create visual interest and appeal to your messages. I’ve used Zmoji, available for both iOS and Android, and Emoji Me, which is iOS only. There are plenty of other emoji creation apps out there, so take your pick. With these apps you can quickly create Gifs and videos that are fun and make you stand out from the crowd. These are not as detailed as something you could get created specifically for you, but it’s still a reasonable resemblance. As you can see, this one even got my glasses right! You could use emojis for team celebrations, welcoming a new team member to the group, shout-out to a well performing teamie, congratulations, etc. There are so many options so you can really mix it up and keep things interesting. In your customer group you can use these character emojis for sales reminders, hurry-up when sales are closing, etc. Another nice use of an emoji is as a follow up or thank you for hosts and guests at your parties. Avatars and emojis are lots of fun and will add something unique to your posts and messages and make you more memorable. 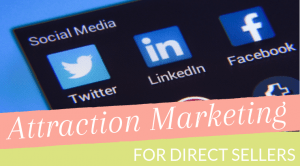 If you want to learn more about online marketing and how to do it in a non-spammy way, check out the Attraction Marketing Course. In the course you’ll learn how to maximize your business page and groups, how to create your own online brand, how to create videos and images for social media, and you’ll learn more about avatars.